The UK-ITF promotions committee is pleased to announce the promotions listed below following recent degree gradings. The UK-ITF promotions committee is pleased to announce the promotions listed below following the degree grading at UK-ITF headquarters on 22nd September 2018 conducted by Grand Master Nicholls. The UK-ITF promotions committee is pleased to announce the promotions listed below following the degree grading in Cornwall on Saturday 15th September 2018 conducted by Grand Master Nicholls. 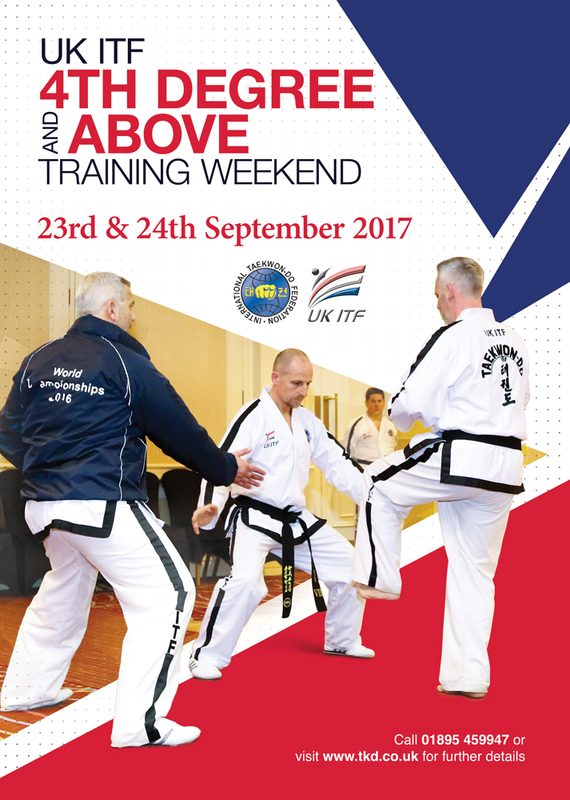 UK ITF is a Member Organisation of the British Taekwondo Council (BTC) and has adopted all the BTC policies and procedures, including Safeguarding and Code of Conduct, as the minimum standard for delivering Taekwon-Do safely in all our clubs. UK ITF Administration in Yiewsley suffered a catastrophic loss of telephone and broadband services on 19/10/2016 due to an outage at the British Telecom West Drayton Exchange. We are pleased to advise that the telephone and broadband services have now been resumed. UK ITF Administration thank you all for your patience and understanding, and will endeavour to respond to all outstanding communications and orders as quickly as possible. On Sunday 19th April Master Wood VIII Dan visited Leicester Taekwon-do to conduct a seminar for Mr Nick Overton and students. Well done to Stoke Gifford Taekwon-do students that entered the BTC Touchgloves competition.